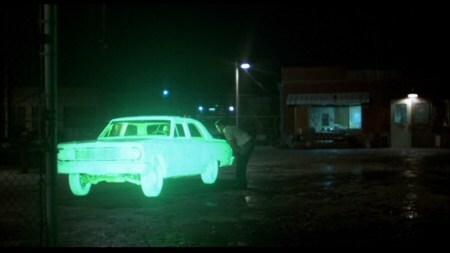 In 1984, Alex Cox made Repo Man. It was about a suburban punk called Otto (Emilio Estevez), his induction into the repossession trade under the guidance of repo man Bud (Harry Dean Stanton), and the chaos caused by their attempts to find a vintage car with a lethal secret in its trunk. Its distributors considered it too weird for a proper release, and it spent months in limbo until the unexpected success of its soundtrack album gradually turned the film into a minor cult classic. Twenty-five years later, Alex Cox made Repo Chick. It was about a spoilt rich girl called Pixxi (Jaclyn Jonet), her induction into the repossession trade under the guidance of repo man Arizona Gray (Miguel Sandoval), and the chaos caused by their attempts to find a vintage train with a lethal secret in its caboose. Its distributors considered it too weird for a proper release – and to give that judgement some perspective, this was a distribution company owned by David Lynch. After nearly two years on the shelf, Repo Chick is finally creeping out on video without ever seeing the inside of a cinema. Does Cox have another minor cult classic on his hands? Comparisons are odious. Let’s make some.